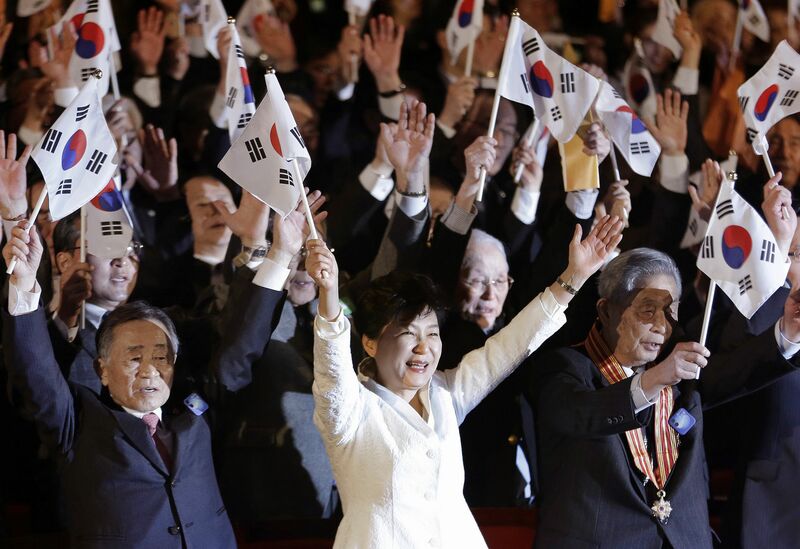 SEOUL - South Korean President Park Geun-hye on Sunday urged Japan to resolve the “comfort women” issue at an early time. “There is not enough time to restore their honor, as their average age is almost 90,” Park said in a speech commemorating the 96th anniversary of an independence movement against Japanese colonial rule. 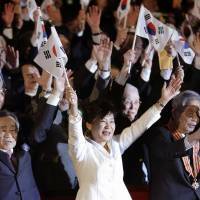 Park said two former comfort women died this year, reducing the remaining number of those who were forced to work in wartime Japanese military brothels to 53. The annual ceremony was held to commemorate the nationwide movement that began on March 1, 1919. Japan colonized the Korean Peninsula from 1910 to 1945. Noting this year marks the 50 anniversary of normalizing diplomatic ties between the two countries, Park said, “I urge Japan to have courage and candidness in acknowledging the historical truth. “I want Japan to hold hands with South Korea as a partner to go together for the next 50 years in the future and write a new history,” she said. South Korea has repeatedly demanded that Japan settle the issue of women forced to work at wartime military brothels in a way that is acceptable to surviving victims, with means such as an apology and compensation. Japan maintains that all compensation issues were settled under a 1965 bilateral treaty that normalized diplomatic ties. Prime Minister Shinzo Abe and Park have yet to hold a formal one-on-one meeting since the two took office, in 2012 and in 2013 respectively, due to a territorial row and different views on wartime history.